Like a phoenix rising from the ashes (similar to the stage setup for his Yeezus tour), Kanye West has found himself yet another new designer friend: Ermanno Scervino. The two met earlier this year when the "Can't Tell Me Nothing" rapper stopped by Scervino's Paris shop and started to study under the Italian artisan. "Our friendship is based on a deep and immediate mutual understanding," the designer told Us Weekly. 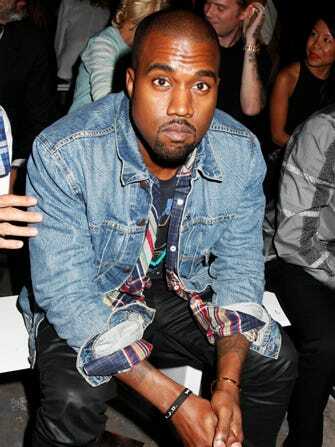 "This comes as no surprise, [Kanye] is a very special person, with a great energy and sensitivity." He didn't dismiss the possibility of a ScervYe collab, continuing, "Who knows what can happen in the future."